Dr. Arch K. Meserole, D. O., died Friday, May 11, 2012 at Hospice of Lancaster County in Mount Joy. Dr. Meserole was born in Brooklyn, NY on September 12, 1917. He was the son of the late Archibald K. Meserole II and Merle (Briggs) Meserole. He was preceded in death by his wife Jean Y. (Yackly) Meserole, 1944-1966, wife Paula E. (Krause) Meserole, 1967-1976, and by his daughter Kathleen (Meserole) Myers. Among family and friends, he will be remembered for many things. Among these are his generosity, open-mindedness and sense of fair-play, a wry sense of humor, love of tennis and photography, for the novel he wrote following retirement, and for his belief in a holistic lifestyle and diet. Arch grew up in northern New Jersey, primarily in the Ramsey area. After attending high school in New York City, he and his brother attended William & Mary College, then transferred to the University of North Carolina at Chapel Hill, partly to play on their tennis team. He did his pre-med studies at UNC and then graduated from the Philadelphia College of Osteopathy in 1942. He was a member of the first class of interns at Lancaster Osteopathic Hospital and subsequently served two terms of residency. Returning to New York, he worked in the medical office of his grandmother, Dr. Clara Briggs and assisted in surgeries at the Manhattan General Hospital Clinic, while attending classes at Columbia University. 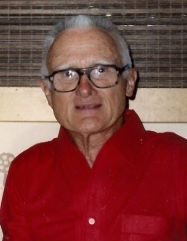 He, with his wife, Jean and son, Don, returned to the Lancaster area in early 1948, beginning private practice which lasted until his retirement in 1997. In those years, he delivered nearly 400 babies. During the 1980s and 1990s, he served as a Deputy Coroner for Lancaster County under Dr. Barry Walp, D.O. and Dr. Whitlaw M. Show, D.O. Arch was an avid sailor for most of his life. Competing in the National One Design Class, he won numerous club championships with the Susquehanna Yacht Club and in 1963, won the Eastern States Championship held locally on Lake Clarke. Later, he and his family sailed PaceShip sloops for many years out of Oxford, Maryland. Dad taught the sail course classes for the local Red Rose Chapter of the U.S. Power Squadron. He was recognized in 2009 for 50 years of membership and service with the organization. Surviving is his companion, Jeannine Brant of Lancaster; two sons, Donald of Marietta, and Stephen husband of Beverly of Lancaster; five grandchildren, Larisa wife of Robert Garpstas, Jr., of Lancaster, Craig husband of Aja Meserole of Marietta, Julie wife of Darren Boyer of Marietta, Heather wife of William O’Neill, Jr. of Atglen and Neil Myers of Denver, CO; seven great-grandchildren, Paige and Kayla Garpstas, Jackson, Archer, Wyatt Meserole, and Chase and Brady O’Neill; a brother, Walter B. Meserole of Whidbey, Island, WA; a sister-in-law, Isabell Yackly of Lititz. Also surviving are two step-daughters and six nieces and nephews. A Graveside Service will be held on Friday, May 18, 2012 at 1:00 P.M. at the Paradise Mennonite Cemetery, Cherry Hill Road, Ronks, PA with the Rev. James Day officiating. In lieu of flowers, contributions in his memory may be made to Hospice of Lancaster County, 685 Good Drive, P.O. Box 4125, Lancaster, PA 17604-4125. The loss of Dr Meserole will be missed by many. I liked him very much as well as his family. My condolence to the Meserole family. From one sailor to another, Fair winds, Arch. I liked DOC from the first time my Mother took me to him when I was three and had his office in his home on Marietta Ave, until my last visit to him just before he retired. I remember that he was the only doctor who would come out from Lancaster to see my Grandfather who was having a heart attack when I was four. I remember him stopping to see me every day whenever I was in the hospital, even though I was under the care of Specialists. I remember him taking the extra time to discuss whatever was wrong with me, whenever I had to go to him. I remember listening to his sailing stories on my office visits. He was a good man and doctor who cared about his patients and will be missed by all he served. My condolences to his family who will miss him even more.